Last post, I wrote a little about the prevalence of smoking in Georgia. About 1 in 5 people in this state smoke. You can look up your state too. Obviously, that's a concern for us. The Surgeon General and the CF Foundation are extremely clear about smoking: There are huge risks if a person with CF smokes or is exposed to second-hand smoke. In public, we ask that people extinguish their cigarettes. (Yes, I do go up to them and ask.) 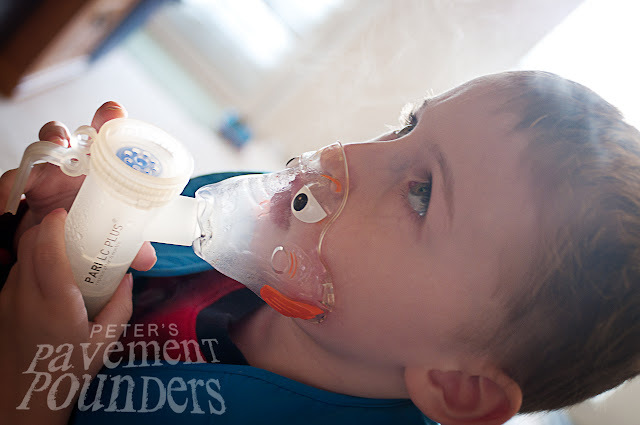 We sometimes move to another area if we can smell smoke or put a mask on Peter. 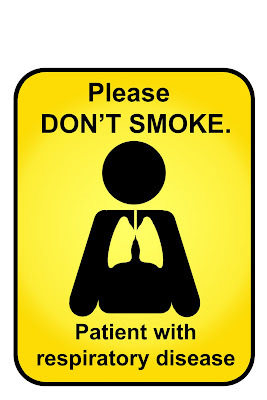 CF families are strongly advised to be non-smoking families. Neither my husband or I has ever smoked due to our membership in the Church of Jesus Christ of Latter-day Saints. The Church teaches abstinence from tobacco, alcohol, drugs, and other addictive substances. Yet, we understand that many CF families have to confront this issue because family members do smoke. This topic came up as part of a CF Education night my husband and I attended. 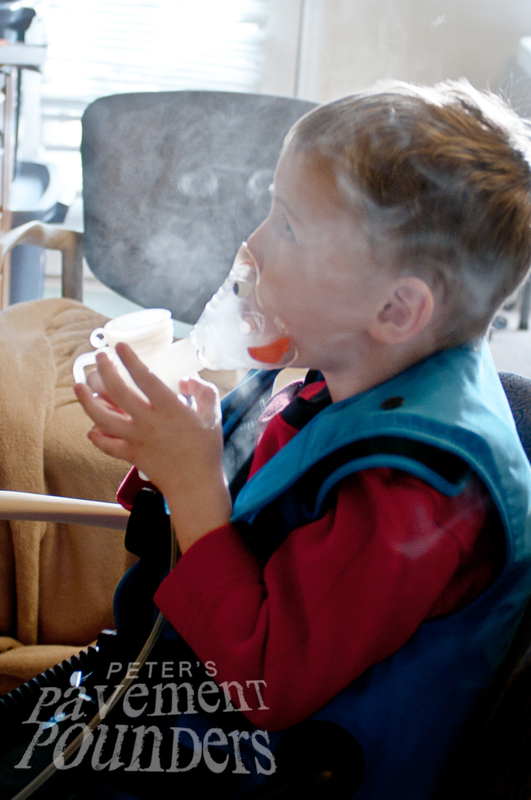 The grandparents of a CF child had been asked by the parents not to visit if they were still smokers. One of the grandparents was able to give up tobacco, but the other of them had not been able to quit. There was quite a bit of debate about this situation. My husband suggested a sensitive and caring answer the parents might give, "We love you, but not the smoke." The eventual answer that made sense to most people was to ask the grandparent who smoked to visit only when they had clean clothes on and had not smoked since their last shower. Then, if they have to go and smoke, to leave the CF child's home. Tobacco is an addictive substance, and addiction isn't something you can just give up easily. A support group, understanding, and clear expectations (especially when dealing with a CF child) is necessary. The fact is, if a person is going to quit smoking, they have to do it for themselves, and it's a decision they have to make for themselves. This is the only kind of "smoking" allowed at our house. 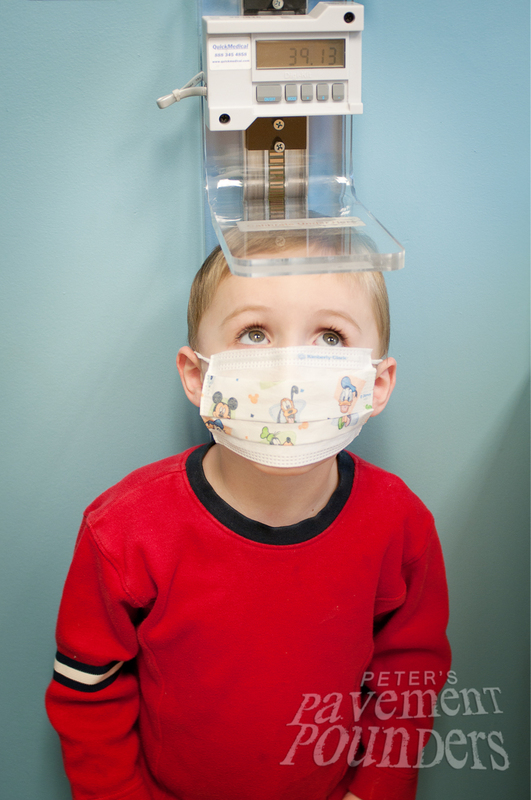 Medicine in the nebulizer cup is broken into breathable particles so they can be administered directly to the lungs and the sinus passages. On Friday, I was a guest speaker at Fulton Science Academy High School for 5 classes of biology students. This is the second year I've spoken there, and it's always a wonderful opportunity to connect with young people. The teachers are finishing up a unit on genetics, and my presentation helps the classes understand that this is real life for our family, not just theories they have to memorize out of a textbook. The students were a captive audience. They asked lots of good questions and we probably could have gone on for longer if class hadn't ended! Thank you, Mrs. Van Tassel and Ms. Tascan! Your kids were awesome! I showed them our CF story video and walked them through some of the genetics of cystic fibrosis, an autosomonal recessive disorder. We talked about what CF does to the transfer of water and salt in mucus-producing cells and which organs are affected. 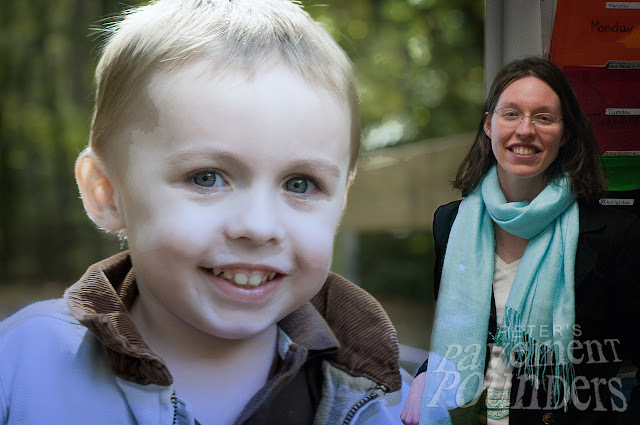 And then we got into some of the issues involved with CF: the decision whether or not to have more children, educating family members (potential CF carriers) about the disease, living in a state where 1 out of every 5 males smokes, and the costs of medication and the necessity of insurance even if you aren't happy with the job that provides it. Perhaps the most exciting part of my presentation was talking about the current drug research and what we can do to help fight CF. 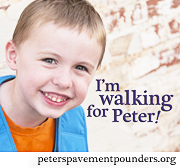 I invited the students and their families to walk with us in Great Strides on Saturday, May 21st. How exciting it would be to have part of FSA High School represented in our team this year? As part of my presentation, we talked about lung transplantation for CFers with advanced lung disease, and I'm super grateful to Leah, a fellow member of CysticLife, who allowed me to show the students this picture. 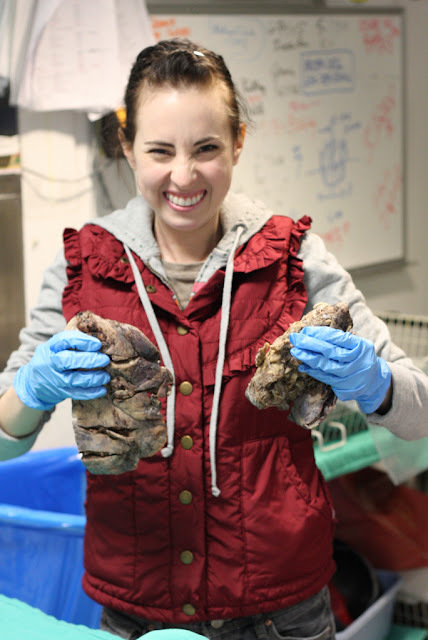 She had a double lung transplant and got to "visit" her old lungs in the surgery pathology room. You can read her post about it here. It's now been a year since her transplant, and she is rejection free! Congratulations Leah! Students were shocked by the amount of pills Peter takes everyday just to digest his food. 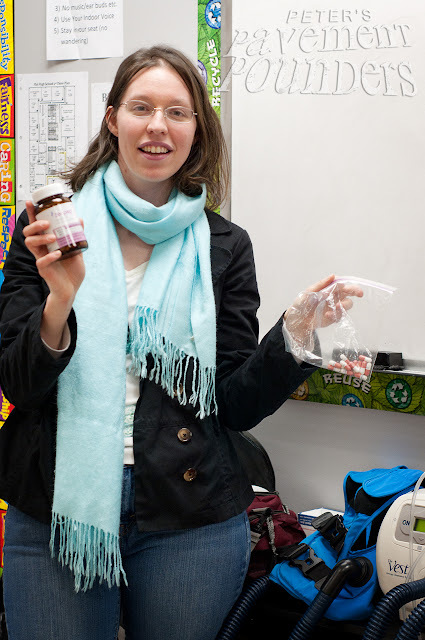 I also show them the rest of Peter's medication. They're pretty amazed that a kid who's only 3 years old takes so much. 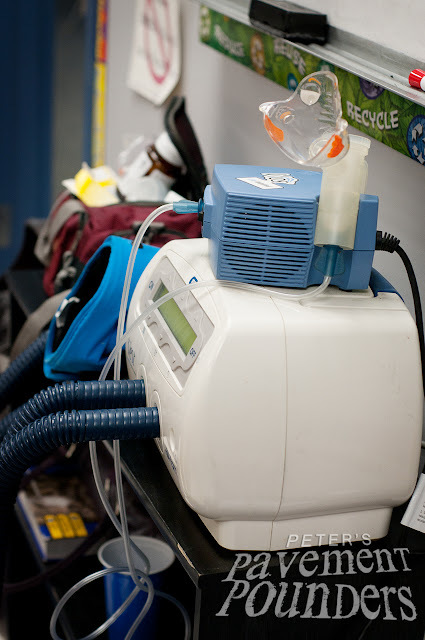 I bring the Vest machine and nebulizer to demonstrate some of Peter's treatments. Students like putting their hands in the Vest to feel it when the machine is on. So, even though there was quite a bit of coordinating to do--I had to take Peter to and from different babysitters throughout the day and cart around Peter's Vest and neb machines--it was totally worth it. 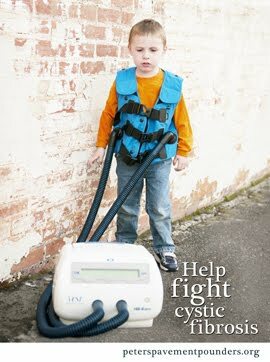 I'm hoping I'll be able to speak about CF in other venues as well. 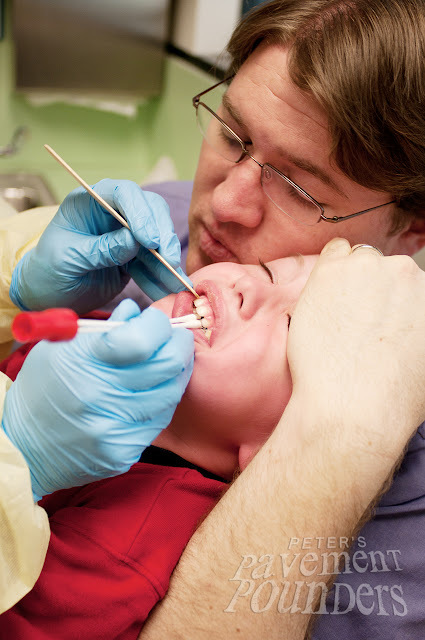 Our last CF clinic went well. We were lucky to have Jacob there -- it makes three hours in an exam room a lot easier. Here are some of my pics from the appointment. 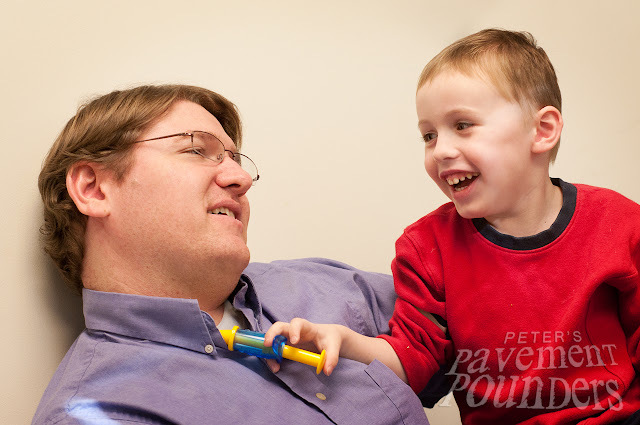 As in every clinic appointment, Peter had to have a throat culture to check if anything is growing in his mucus, especially Pseudomonas, since we have been battling that lately. He knew it was coming, so he was not going to open his mouth! It took a while, but the nurse got it, and guess what?! NO PSEUDO! The results came back last week and we are thrilled. 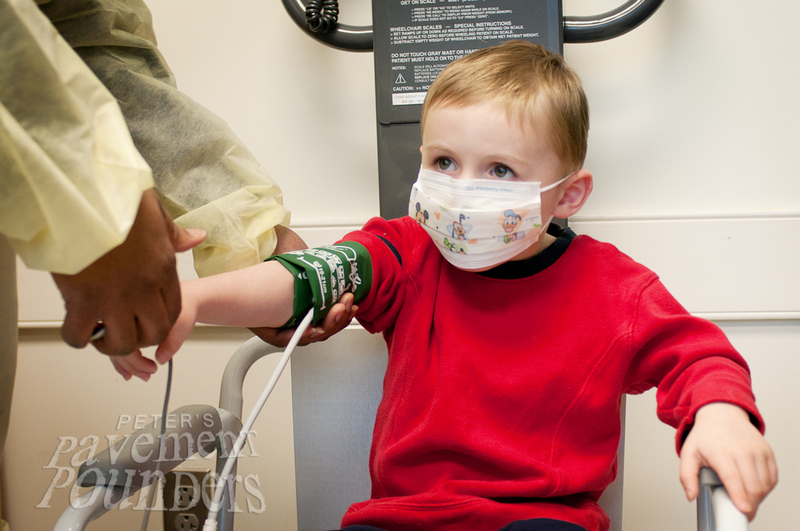 I always get the best pics when Peter's getting his vitals checked: height, weight, blood pressure and oxygen saturations. Peter's been sick a couple times since our last clinic. He hasn't gained weight, but he hasn't lost it, so things are okay for now. Notice the yellow gown? These disposable coverings are to prevent the nurses and doctors from transmitting infections from one CF patient to another at clinic. That is also why Peter is wearing a mask outside the exam room. CF kids aren't allowed to come into contact -- they can make each other sicker! I always bring a backpack full of toys for clinic because besides all the people we see, there's also a lot of waiting. When Daddy got out the puppet, he definitely had an enthusiastic audience. I brought Peter's doctor kit. He had fun giving Daddy and me shots -- in the neck! Ugh! Fun ends when blood draws approach. Fortunately, we only have to do this once a year. 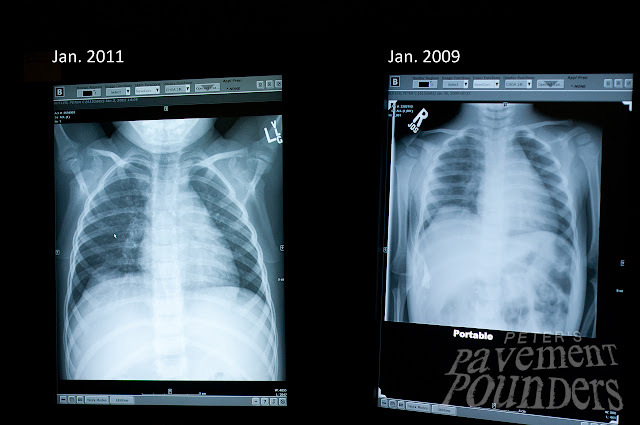 Every 2 years, we have chest X-rays, the first time was when Peter was in the hospital for a "CF Tune Up" (pulmonary exacerbation/IV antibiotic prep) before his first sinus surgery. You can see how much he has grown in two years. Peter's pulmonologist said that his lung health is stable. We are so happy for that. We love healthy lungs! 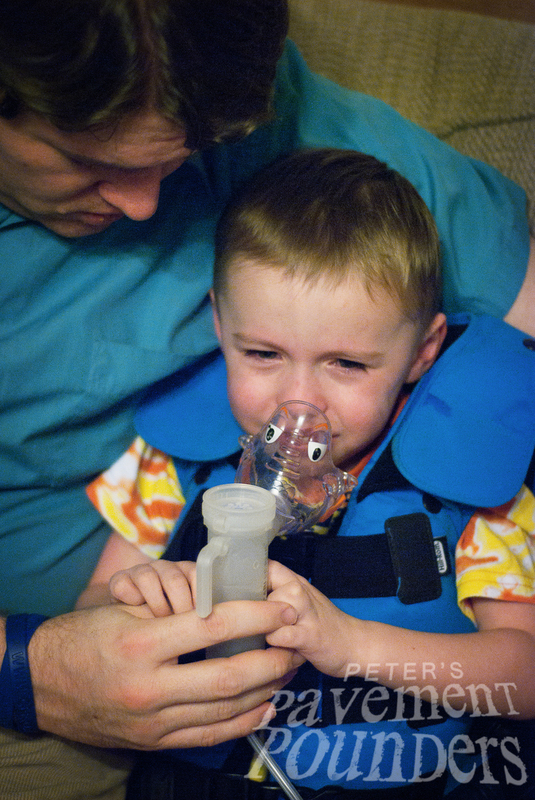 CF Clinic was yesterday and our respiratory therapist gave us a new "protocol" for Peter's Vest treatment. I programmed it in his machine this morning and we gave it a try. It's okay, longer than our previous treatments (he's now on the Vest 30 per treatment instead of 20) but less intense combination of pressure and frequency. Huff coughs are long, drawn out "huff" breaths combined with deep coughing that attempt to clear and get out the mucus in the lungs. Yes, we are teaching our son to "hock and spit." 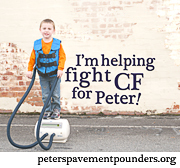 But right now, Peter is just working on the huffing part and some coughing. He can sometimes get a little mucus up when he's sick and coughing from the cold, but it'll probably be a couple more years before he can really get up the junk. Since Vest treatments take so long (plus the nebulizer treatment that goes with it and the one that goes after it), Peter gets to watch his favorite shows: Dora the Explorer and Go, Diego, Go! (We try to leave the TV off for most of the rest of the day.) Yay for Dora and Diego! And Peter's learning some Spanish too.